ONE OF northeast London’s finest recreational and nature resources has been described by an influential property commentator as “under-utilised”. Caroline Day, of campaign group Save Leyton Marsh, commented: “It is a fundamental misunderstanding of the term ‘green lung’ to posit this space as ‘under-utilised’. A green lung is an area of parkland within a city that has virtue because of the healthier environment it provides as undeveloped green. Enfield council said Meridian Water would be “highly accessible” for its new residents, as well as for those already in the area. The Meridian Water scheme, southeast of Angel Road station N18 3AY, is part of Conservative Mayor Boris Johnson’s Upper Lee Valley Opportunity Area Planning Framework, a voluminous document launched at City Hall last week. It outlines a bigger plan to build more than 20,100 “new well-designed homes” in the valley as far north as the M25. As usual with such announcements, it talks about job creation, promising in this case 15,000. This scheme has been devised by the Greater London Authority in co-operation with Enfield and Transport for London, and Hackney, Waltham Forest and Haringey councils. 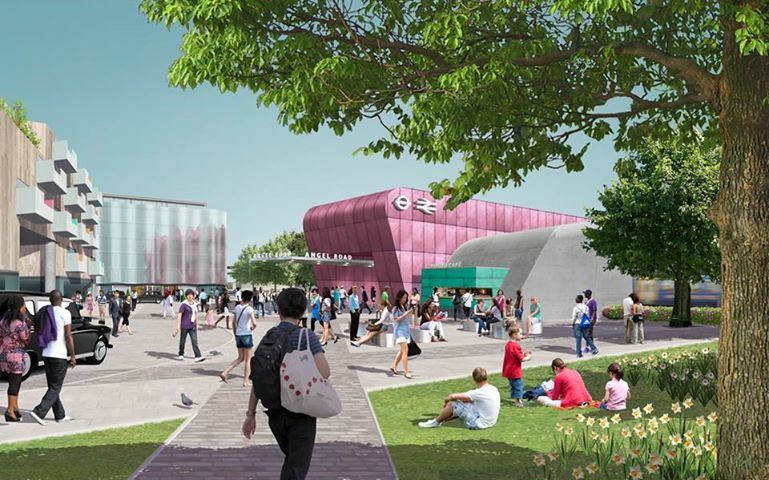 Stephen Wilkinson, Lee Valley Regional Park Authority’s planning and strategic partnership head, told Loving Dalston: “We have been working closing with the GLA and surrounding boroughs on the development of the framework. “The park attracts around 5 million visitors each year; a figure which has grown steadily over the last few years. The authority seeks to strike a balance between preserving areas for biodiversity while seeking to encourage visitors to the parks, open spaces and venues. * The official documents use the Lee not Lea spelling. It is likely to become widespread. — Ed.